In 2014, I'm not making any resolutions, but trying to change some mindsets instead. Including shopping local & supporting businesses that give back. I had great fun planning this photoshoot featuring some of my favorite Nashville businesses that not only produce beautiful goods, but operate with the understanding that blessings are better when multiplied through giving back. Conscious consumerism. Shop local, support global. 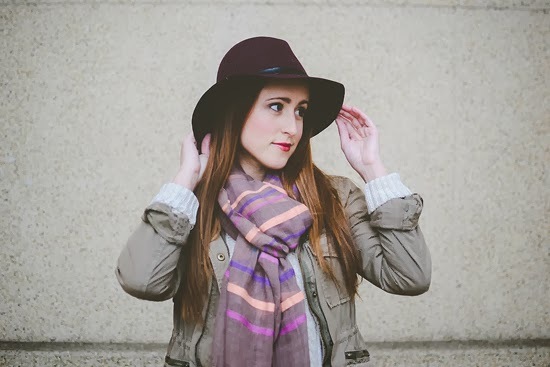 Today, I'm focusing on fashionABLE - the brand behind these gorgeous scarves. More on the jewelry & shoes featured in coming "conscious consumerism" posts. The fashionABLE mission is to create sustainable business for Africans so they aren't dependent upon charity, but instead earn the dignity of a job, with a primary focus on empowering women. Statistics show that when a woman is empowered, she will have a life-changing impact on her family, community & herself. When you purchase a fashionABLE scarf (or their new leather goods collection), you help create sustainable business in Africa. fashionABLE is committed to long-term solutions to fighting poverty. That means that your purchase of a scarf creates jobs, so that the women are not dependent upon charity, but instead are a vital part of a developing economy. More than just giving back to the communities, fashionABLE works with women to help them start small business cooperatives, in addition to requiring their partners to employ women with fair wages & fair hiring practices. 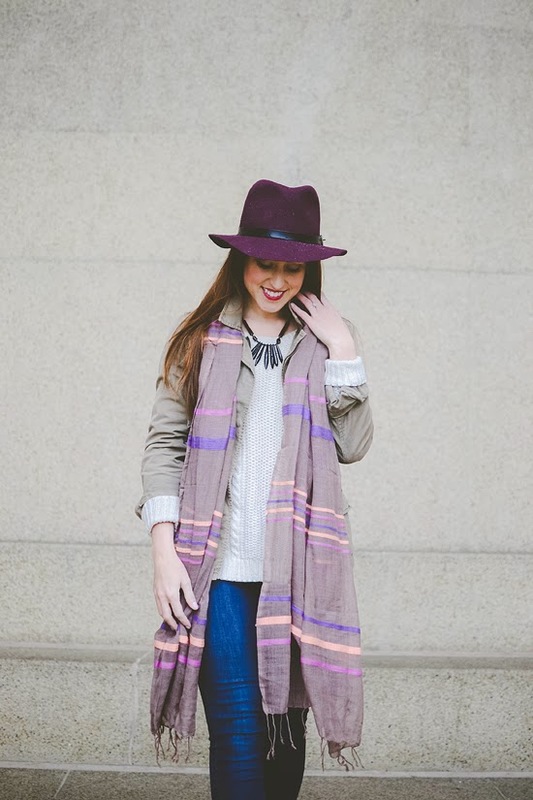 Shop all the gorgeous scarves here (swear you can't want just ONE!) And they now have stylish & functional leather goods too… including a clutch, iPad sleeve & wallet. This post wouldn't have been possible without some wonderful partners. Thank you to fashionABLE, Nisolo & Fringe & Lace for lending items. Zipporah Photography for capturing all the little details. Jordan Duncan for working as our fashionABLE liaison & shoot stylist. I love fashionABLE! They were one of my first posts about companies that are doing more with their missions. I get compliments every time I wear their scarves! Great post. Going to go check them out now. 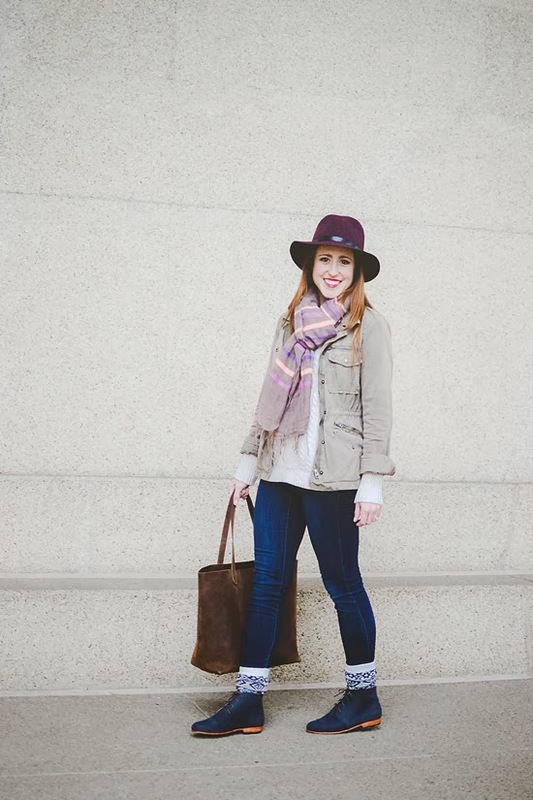 Love this gorgeous scarf! Love that you are supporting this amazing business! What a great series! 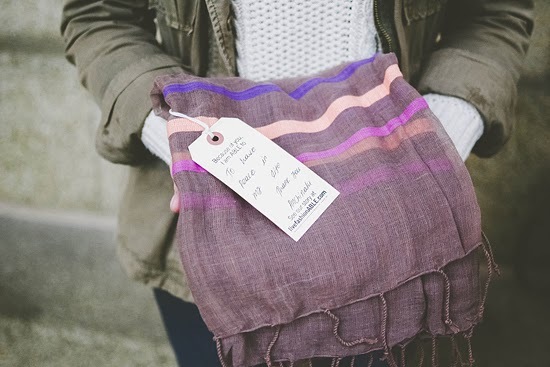 I love the scarf and the mission of this company! LOVE your sweater and scarf! I absolutely love their mission! Their scarves are gorgeous, I love the colors of the one you're wearing! Ps. you look extra amazing in these photos! 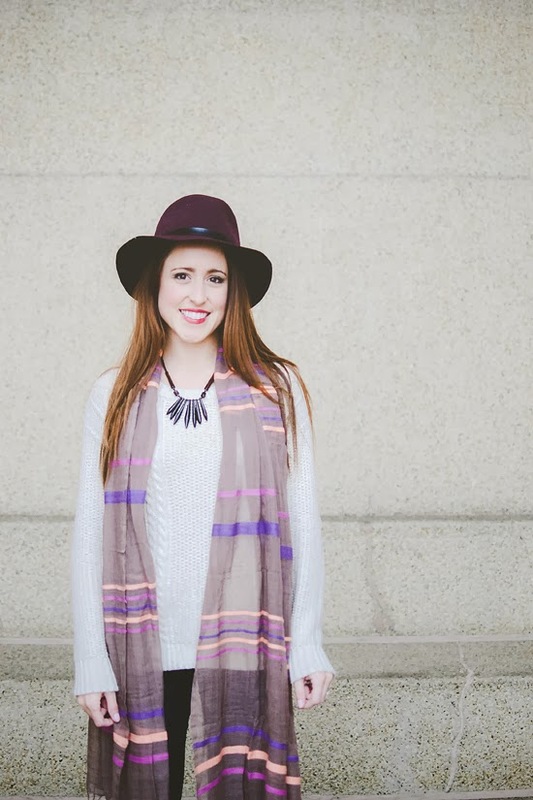 This scarf looks absolutely amazing with your hair! It compliments your beauty so well!! This is totally my kind of outfit, and good job on promoting local stores, that scarf is very pretty! Super cute outfit, and looks nice and warm! I like the socks with the booties. Nice to meet another fashionable dog mom, too! Great post Jess, and I am looking forward to this series continuing in the future! That scarf is gorgeous & the work they are doing is so important. Yay, this is so great! I've been feeling much more compelled to shop locally (or at least American-made) and support companies that give back and have sustainable practices. It's kind of overwhelming to figure out where to start looking, though, so I'm really eager to catch up on the rest of this series and see what companies you've been exploring!